A beautiful book that quietly lures you in with its' vivid descriptions, and characters that steal your heart. 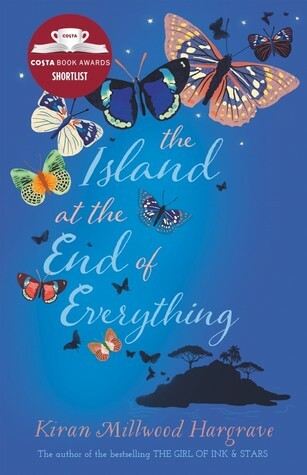 Ami is the main character who lives on the stunning island of Culion, but it's a place that people don't visit as the majority of the inhabitants are lepers. Ami is a healthy child but her mother is 'touched' but they are settled in the way they live, but that is all set to change when the government decide to isolate the island even more by moving the healthy family members away - heartbreaking for Ami and her mother. When Ami begins her new life away at the orphanage she makes new friends, but also makes enemies - Mr Zamora is a ghastly character who is heartless and derives his pleasure from collecting butterflies, and causing misery for those children in his charge. Ami has such drive and determination in her quest to go home to be with her mother, and that makes her such a wonderful character to read about. She sees beauty all around her - from those 'touched' to the butterflies she seems to attract, and this book really is a stunning little story that had me captivated and utterly spellbound.